Maybe your car has had a monstrous blow to the body. Don’t worry, all is not lost. We can bring it back to life and we don’t need Doctor Frankenstein to do it. 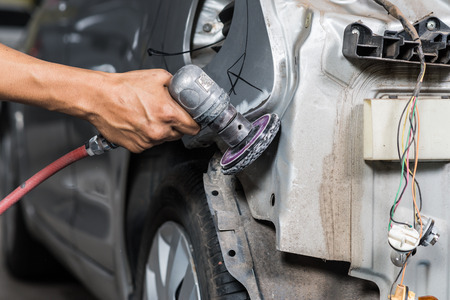 Our own master technicians and restoration experts can turn a horror story into one with a happy, literally wholesome ending – getting your whole car back again looking like nothing ever happened. One of the critical parts of our work is preparation of the vehicle’s body so our custom paint specialists can do their work. The very first thing we do is provide an accurate estimate that takes so much into account it’s like an accountant prepared it. Think of it as a “NorthSide Garage” “Bestimate”, which means the best price possible with no extra charge for the best people and highest quality parts included. Plus paint perfection, of course.